Isn't this just a darling bag? 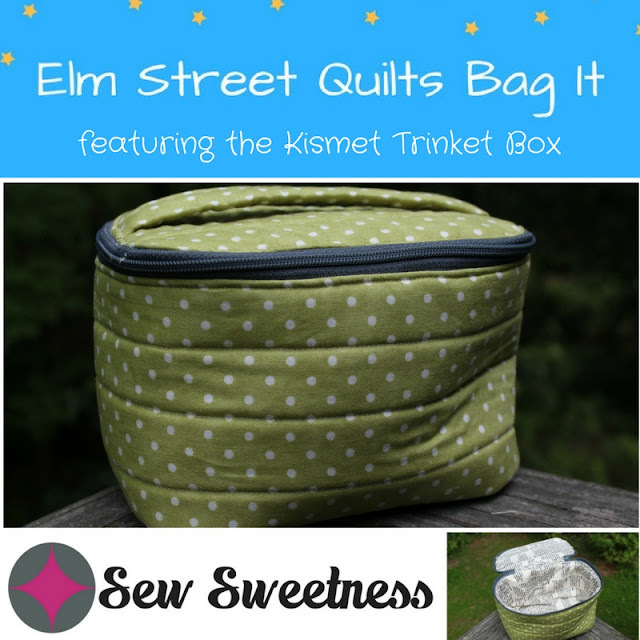 The pattern is the medium sized Kismet Trinket Box designed by Sew Sweetness. I'm thrilled to introduce you to Sara Lawson, designer of the Kismet Trinket Box and the owner of Sew Sweetness. Sara has patterns available for many bags and also carries supplies for bags in her shop. 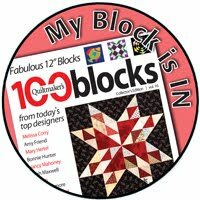 I am very excited about her new line of videos which take you step by step through many of her popular patterns. These patterns with videos would be helpful to anyone making one of her patterns. Sara began designing bags in 2011. She has published two books - Big City Bags and Windy City Bags as well as been published in several magazines. 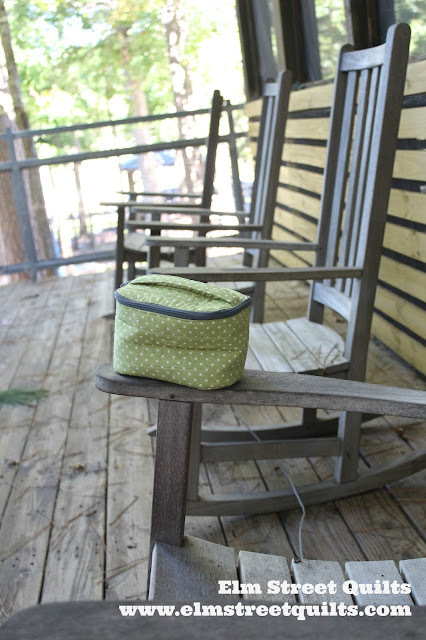 Sara has designed two fabric lines and has a Craftsy class called Building Better Bags: Interfacing and Structure. 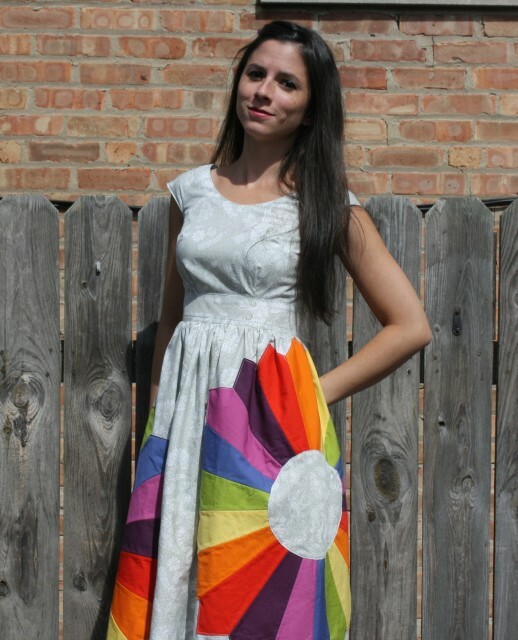 You can read more about Sara on her About Me page and learn more about who inspired her to start sewing. Visit Sara at Sew Sweetness on her website, on Facebook and on Instagram. Sara is offering a $40 gift certificate to her shop for one lucky randomly chosen Bag It participant. I loved my first Kismet Trinket Box so much that I made a second one, this time in a large size. Look how nicely the medium sized one fits into the large one! I'll be making more of these bags to gift this Christmas. Thanks to Sara for supplying me with a complementary copy of the pattern! 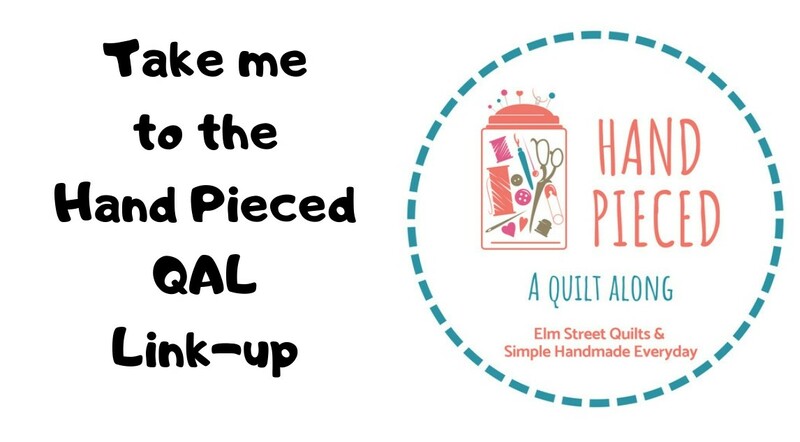 I'll be linking up my Kismet Trinket Box with Freemotion by the River, WIP Wednesday's, Let's Bee Social, Midweek Makers. Needle and Thread Thursdays, Finish it Up Friday and Finished or Not Friday. What a fun box. Great idea for Christmas gifts too! I love her designs, but wasn't familiar with this one. Thanks for sharing. I definitely want to make some. I bought Kismet when it first came out - I still haven't made one, and when I saw your first post about Bag It 2017 I promised myself that of all the patterns I have that I haven't made (I know I'm not the only collector, lol) THIS is the one I need to try. I'm going to move the file onto my desktop as a reminder! Nice bags, I have her Amethyst pattern, still stalled out on fabric choices but it looks like it will be a very useful project bag. Looks like a useful bag and similar to Sara's other Train Cases pattern too. I love this! If only I was brave enough to attempt a bag...any bag! You did a great job! That is soo cute! Almost looks like it could hold an iron for workshops. Thanks for sharing today! Super cute! 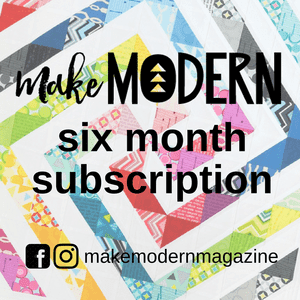 A great way to showcase some of your favorite fabrics!